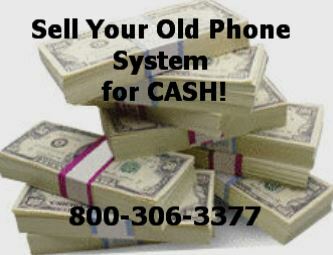 Always Call For Current Refurbished ESI phones and System Pricing. Phones and Circuit Card REPAIR -DON'T THROW YOUR BROKEN ESI EQUIPMENT AWAY! Let us REPAIR/REFURBISH it for a fraction of the cost! Welcome to the refurbished ESI system solution page. Here, we carry ALL the Telephones, including the popular IVX, E, S or C Class phones and systems for your business. At Craig Communications, we offer most of the components for the ESI telephone systems at refurbished prices your company can afford. We do carry ESI equipment at a price much lower than our competitors rates and and we have much better quality control. See for yourself the difference between an Ebay wipe-off and our equipment that comes with a one year warranty and not a 30 day warranty in small print. Dont be fooled by the competitors Low pricing. Many times they are just wiping equipment off and shipping it out. Always check the fine print. Craig Communications has no fine print. Its all spelled out on our warranty page. One Year warranty on all Refurbished ESI phones and equipment. Are you trying to find affordable ESI components? Have you been searching all over the Web for a refurbished ESI ? STOP SEARCHING. You have found the ESI One stop shop! Craig Communications carries all ESI phones and systems for you to choose from. We also carry all the components and voicemail cards for all the IVX, E Class, S Class and S Class systems. Craig Communications prides itself on competitive pricing and second to none customer service. Look around our Web site to find what ESI Phones and components you need. Contact us at 1-800-306-3377 for additional assistance with any of your refurbished needs. Dont wait to pick up the Telephone and call us regarding your refurbished ESI Phones and Equipment. We have been in business for over 17 yrs and on the internet for just as long!!!! We stand by our Rock Solid 1 yr Warranty on ALL refurbished phones and equipment. Call Today!! !